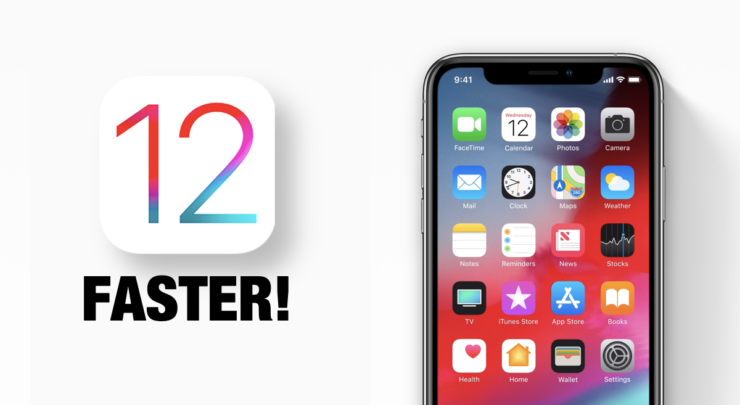 Here’s how you can instantly make your iPhone or iPad even faster on iOS 12 with a simple trick. This technique works on older versions of iOS too. For the first time ever, Apple released an update – iOS 12 – for its iPhone and iPad lineup that actually boosts the performance of devices across the board. Basically, if you install the update right now, you’ll see a significant boost in performance on top of what you were seeing with iOS 11. Needless to say Apple has done a fine job with its latest release and everyone should hop onboard the bandwagon if you crave nothing more than sweet performance on your device. However, there is always going to be someone out there who will prefer going the extra mile and demand more out of what Apple currently offers with iOS 12. We hear you loud and clear and we have just the solution at hand that might actually quench your further thirst for performance on your iPhone or iPad regardless of what model it is. The trick is actually quite simple and something which we’ve discussed before as well. Just head over to Settings > General > Accessibility > Reduce Motion and move the toggle switch to the ON position. That’s it. With that done, you have essentially turned off the system animations of iOS by replacing it with a fade-out effect. This in turn means that iOS will feel super snappy from here on in which is absolutely marvelous in our dictionary. Remember one thing though: if you’re trying out Reduce Motion for the first time, then you might need some time to get the hang of it, especially on the iPhone X and the latest XS models. Why? Because the lack of animations make iOS feel a bit unnatural. But once you get the hang of it, everything will feel lightning fast. We encourage turning this feature on if you have an older device like an iPhone 5s or iPhone 6, which can prove to be ultra slow just when it comes to rendering animations alone at times.